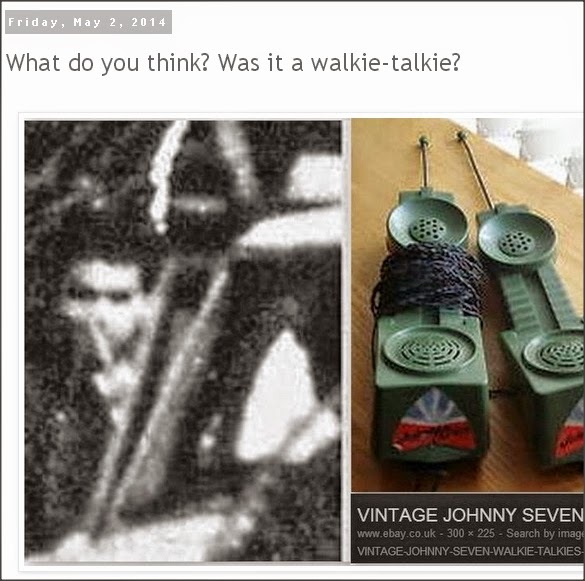 Oswald in the Doorway (not) : the blog of the Oswald Innocence Campaign,debunked by Lance Uppercut: What do you think? Will the Oswald Innocence Campaign EVER be correct about ANYTHING? What do you think? Will the Oswald Innocence Campaign EVER be correct about ANYTHING? Quite simply Ralph, the answer to your question is...no. ( It's not Danny Arce in the photo either, but that's another issue ). 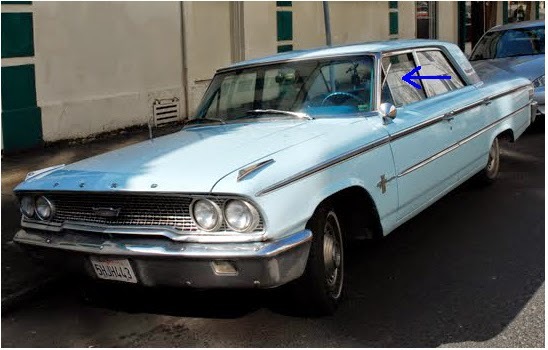 What you are incorrectly interpreting as a walkie-talkie is simply a combination of the t-shirt of the man combined with the open quarter light (vent) of the car ( the vehicle in question is the Vice-Presidential Secret Service follow -up car ). The straight feature which you believe to be an antenna is the top edge of the open vent window, and is clearly separate from the white t-shirt visible behind it. One example will suffice here, but there are plenty more. Notice that the door of the car is slightly open here, pushing the quarter light window further away from the car body, and also the curved top of the t-shirt, following the neck line exactly as we would expect. All fairly simple stuff Ralph.......unless, of course, your real agenda is the promotion of as much B.S. as possible. That's up there with Hooke claiming Ruby was weilding a gun in Dealey Plaza to that lady and child, turns out it was just her husband. One of the few things Hooke has ever been right about! Is all this in that "SCUM" movie ??? Or are there………… sequels ??? Much appreciated Joe...and thanks for the link!